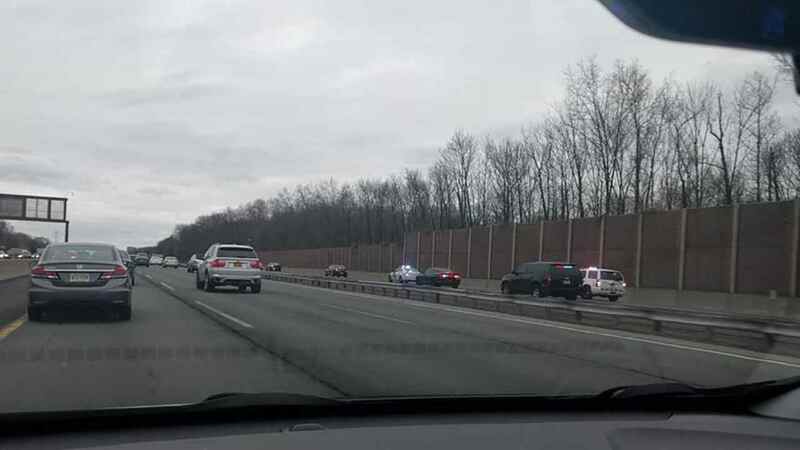 EDISON, New Jersey (WABC) -- A vehicle was pursued by New Jersey State Police troopers southbound Friday morning on the New Jersey Turnpike through Middlesex County. Troopers attempted to first pull over the vehicle on Interstate 287 in Edison. The vehicle then got onto the Turnpike southbound. The vehicle was reported passing interchange 9 in East Brunswick. Eventually the car was stopped by police.